Rachel Sabo is a founding partner of The Friedmann Firm LLC, a plaintiff’s employment litigation law firm. She is a Columbus Employment Attorney who graduated from Capital University Law School, where she was a two year member of the Mock Trial team, a member of the Philip J. Fulton Fall National Moot Court Team and participated in several other organizations. Rachel was awarded the Philip J. Fulton Best Oralist award for her outstanding oral advocacy during the Capital University Law School Fall National Moot Court Team Honor Round. Rachel also studied abroad at The Asser Institute in The Hague, Netherlands, studying international criminal and humanitarian law. From Cleveland, Ohio, she attended Cleveland State University for her undergraduate studies and received a degree in Journalism and Promotional Communication. 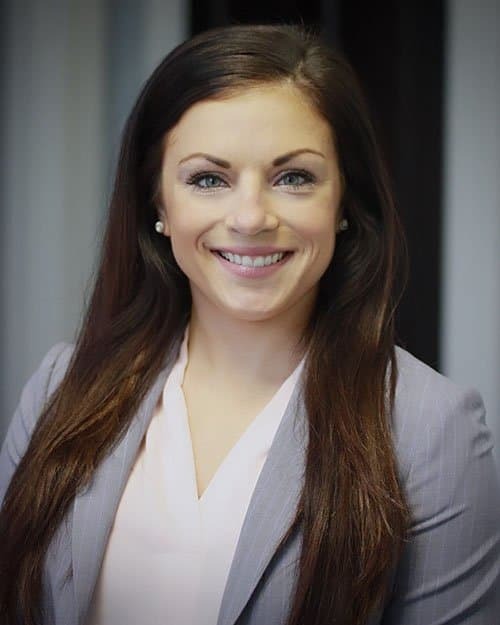 Rachel is licensed to practice law in the State of Ohio and is admitted in The United States District Courts for the Northern and Southern Districts of Ohio. Rachel is a member of the following organizations and bar associations: Columbus Bar Association, Ohio Employment Lawyers Association, Central Ohio Association for Justice, Women Lawyers of Franklin County, The Junior League of Columbus and the Nationwide Children’s Hospital Developmental Board. Rachel is a Board Member of the Women Lawyers of Franklin County, serving as the Networking Chair for three years and is currently serving as Secretary during the 2017-2018 year. Rachel is currently the Vice Chair of Fund Development for the Junior League of Columbus as well. Rachel has been awarded the SuperLawyers Rising Star award in years 2015-2018, an honor bestowed on only 2.5% of attorneys.